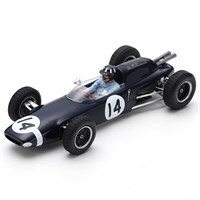 Buy all the latest Lotus F1 diecast models from Diecast Legends. 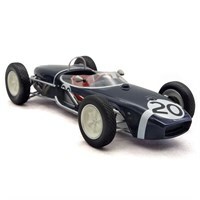 1:18 resin model of the #20 Lotus 18 as driven to victory by Stirling Moss in the 1961 Monaco Grand Prix. 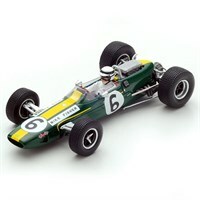 Tecnomodel 1:18 resin model of the #14 Lotus 18 as driven by Jim Clark in the 1960 Portuguese Grand Prix. 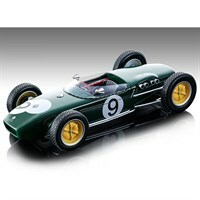 Tecnomodel 1:18 resin model of the #9 Lotus 18 as driven by John Surtees in the 1960 British Grand Prix. Tecnomodel 1:18 resin model of the #5 Lotus 18 as driven by Alan Stacey in the 1960 Dutch Grand Prix. Tecnomodel 1:18 resin model of the #22 Lotus 18 as driven by Ron Flockhart in the 1960 French Grand Prix. Tecnomodel 1:18 resin model of the #24 Lotus 18 as driven by Jim Hall in the 1960 American Grand Prix. 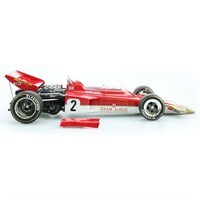 Spark 1:43 resin model of the #3 Lotus 72D as driven by Reine Wisell in the 1971 Canadian Grand Prix. Spark 1:43 resin model of the #24 Lotus 24 as driven by Nino Vaccarella in the 1962 Italian Grand Prix. 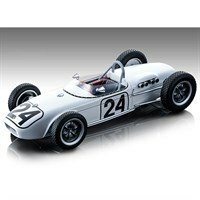 Spark 1:43 resin model of the #14 Lotus 24 as driven by Graham Hill in the 1962 Kanonloppet. 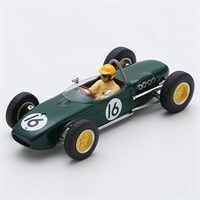 Spark 1:43 resin model of the #16 Lotus 18 as driven by Trevor Taylor in the 1961 Dutch Grand Prix. 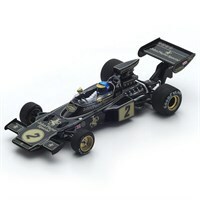 Spark 1:43 resin model of the #2 Lotus 72E as driven to victory by Ronnie Peterson in the 1973 French Grand Prix. 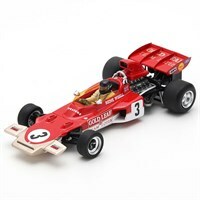 Spark 1:43 resin model of the #6 Lotus 33 as driven by Mike Fisher in the 1967 Canadian Grand Prix. 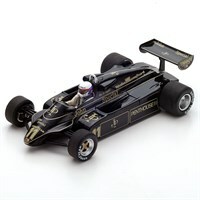 Spark 1:43 resin model of the #11 Lotus 87 as driven by Elio De Angelis in the 1981 Italian Grand Prix. 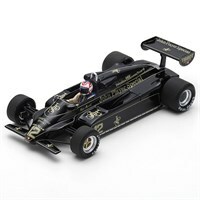 Spark 1:43 resin model of the #12 Lotus 87 as driven by Nigel Mansell in the 1981 Las Vegas Grand Prix. 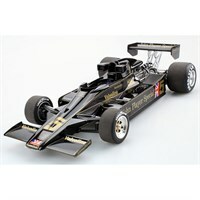 GP Replicas 1:18 resin model of the #5 Lotus 78 as driven by Mario Andretti in the 1977 Formula One season. 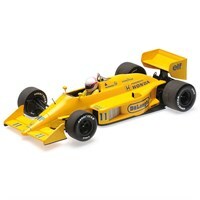 Minichamps 1:18 diecast model of the #11 Lotus 99T as driven by Satoru Nakajima in the 1987 Monaco Grand Prix. 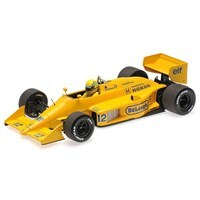 Minichamps 1:18 diecast model of the #12 Lotus 99T as driven to victory by Ayrton Senna in the 1987 Monaco Grand Prix. 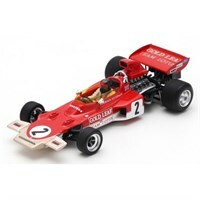 GP Replica 1:18 resin model of the #2 Lotus 72C as driven by Jochen Rindt in the 1970 Formula One season. Minichamps 1:43 diecast model of the #11 Lotus Honda 99T driven by as driven by Satoru Nakajima in the 1987 Italian Grand Prix with Ayrton Senna riding figure. Minichamps 1:18 diecast model of the #11 Lotus Honda 99T driven by as driven by Satoru Nakajima in the 1987 Italian Grand Prix with Ayrton Senna riding figure. 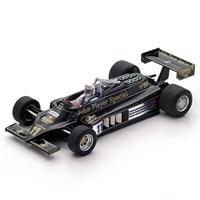 Spark 1:43 resin model of the #11 Lotus 91 as driven by Elio De Angelis in the 1982 Austrian Grand Prix. Spark 1:43 resin model of the #12 Lotus 91 as driven to third position by Nigel Mansell in the 1982 Brazilian Grand Prix.